So let's take a little walk down memory lane shall we? Remember I was in a bit of a conundrum about what colour scheme to go for, for Smith and Cassidy's bedroom? I had an idea but had lost it along the way to decision time - distracted by the pretty interior decor images I had stumbled upon online. I was looking for a hero and found a Colour Hero in Dulux Colour Expert Amanda Daunt, whom I met for a free consultation in a store local to me - who not only rekindled my own colour palette idea but enhanced it, giving me direction and the exact paint palette I needed, which were all from the Dulux Moda Mineral Glow Capsule Collection. You can read the post here. Well for the purposes of educating myself and the fact that sharing is caring, here are some more words of wisdom from Amanda. Why do people need help choosing colour? Amanda explained that "a Colour Hero is essentially a Colour Consultant (Expert) working exclusively for Dulux, in a nutshell we offer FREE colour and product advice to commercial and residential clients, painters and decorators, architects and interior designers throughout selected paint and hardware stores in Ireland. 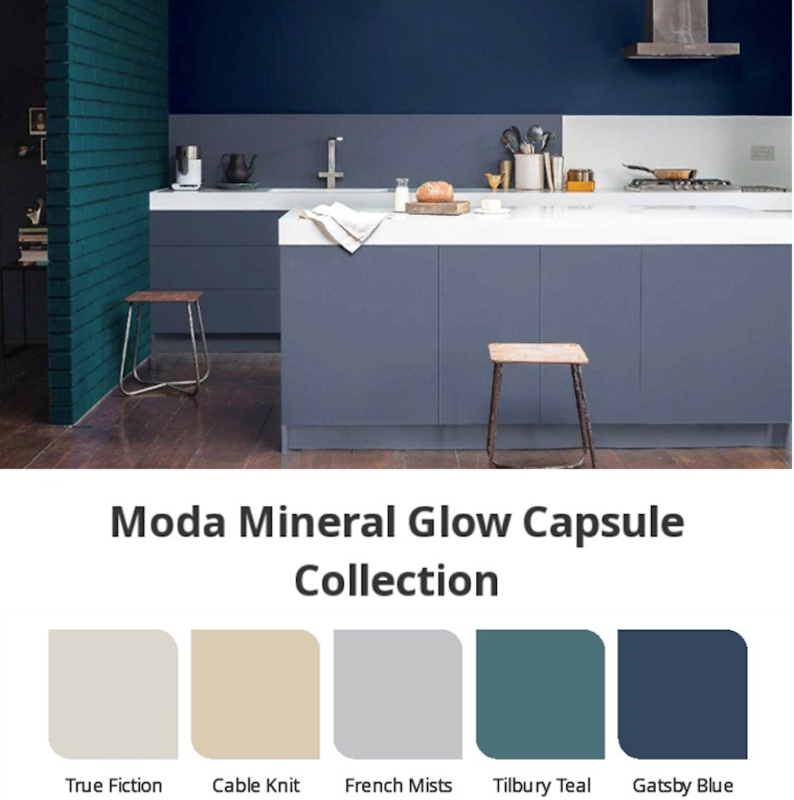 We are resident in stores on a monthly basis and have an established base of returning clients and new consumers constantly seeking help and advise with their colour schemes and decorating projects to transform their homes and commercial spaces. A Dulux Creative not only can advise you on the most appropriate colour that will enhance your designated space but also advise you on the best possible paint performance that will give you durability and longevity therefore, essentially making your home look better for longer". What are the biggest mistakes people make when taking on a decorating project? Amanda advised that she comes across one particular problem on a daily basis especially when dealing with a new build or a home renovation project. "Consumers are often overwhelmed with all the decisions they need to make associated with a project of this size, from choosing the right flooring, kitchen units, furniture, wall tiles etc., that I strongly advise to focus on the big purchases first and fall in love with these, they are often the ones that cost the most and therefore cannot be changed easily. Paint is the most inexpensive form of interior design but has the most impact and effectively ties the whole colour scheme together yet this is often the stage that most people get wrong." 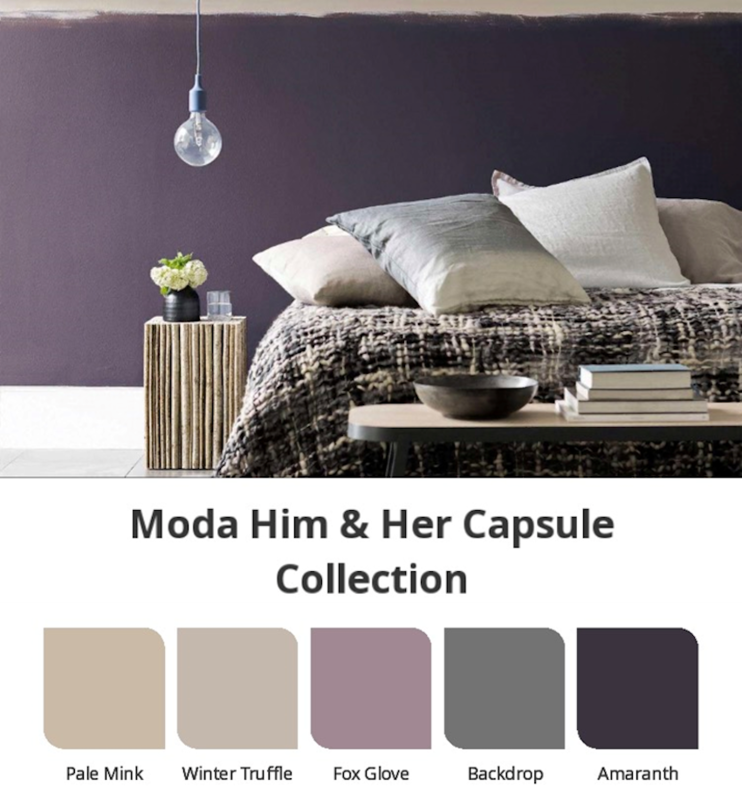 "Consumers almost always choose the wall colour first before even considering their flooring, the wall tiles, the sofa, these decisions all affect the overall colour scheme. It is also very difficult to choose an entire colour scheme for a new build or indeed a renovation project if you have never lived in the property. I would often advise clients to give themselves 6/12 months before deciding on what colours go where or break the project down into the most important rooms to decorate first, this gives you the opportunity to get a feel for the property and where the light hits best to take a bold colour. 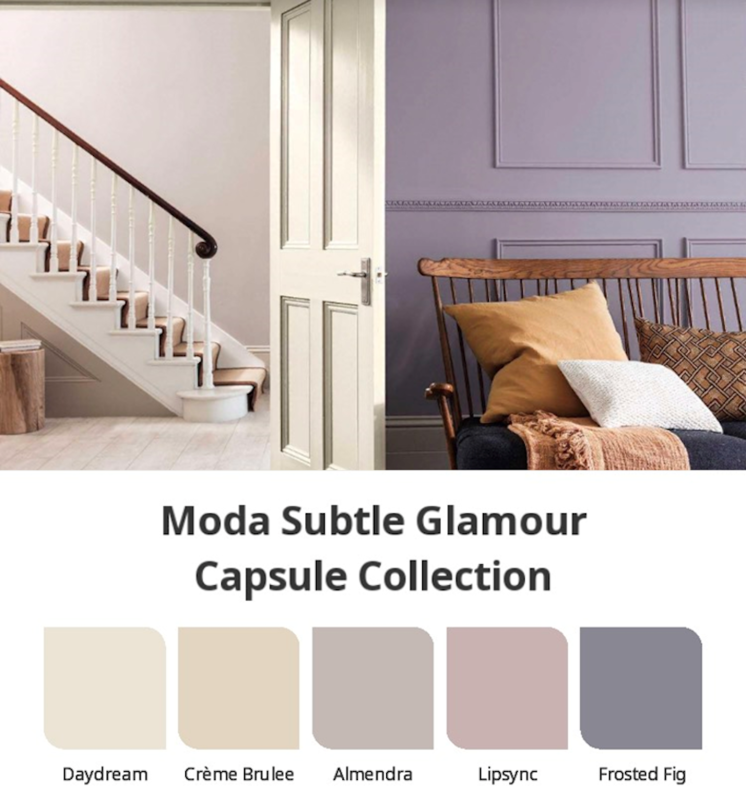 Neutral colours within the Moda palettes such as True Fiction, Venetian White, Daydream and Sweet Cashew provide a perfect canvas for the entire house yet guarantee a luxury washable mat finish that will keep your home looking crisp until you are in the right head space to make those brave colour choices." What's the top tip for choosing the right colour for your space? Amanda said that "sometimes you pick a colour and bring it home only to realise that the colour looks different in your home than it did in the store! The reason for this is that paint colours can be affected by the lighting of the room and the different elements in it. It’s important to pick up testers and try them out in your space before committing to a colour choice. A top tip, rather than painting directly on the wall, is to paint out the testers on a A4 white card using 2 coats of paint and then you can move this around the room like a mobile sample to see what the colour looks like in different lights – morning, afternoon and evening (artificial light) will all affect colour differently. Never make a decision on any colour until it is completely dry. A mobile paint sample is also a great tool to have in your bag when choosing accessories etc." Top Tip: Brush out testers onto card. Always buy a tester of the paint colour you are considering for your space. Brush the tester out onto A4 white card, covering the entire card using two coats of paint. Never make a decision on a colour until fully dry. Move the A4 card around the room to see the colour in the lightest and the darkest part of the space in morning, afternoon and evening (in artificial) light. It's also a good tip when choosing accessories to carry the card with you to match exactly. Bring photos fo the room that gives an overview of the light, space and style. Know the orientation of your room; when does the sun hit the space, is it north, south, east or west facing? Bring samples of flooring, kitchen units if painted, fabric swatches of curtains or accessories to determine their true colour. Know what items you are keeping and what is being replaced. If you are changing flooring, kitchen units, furniture decide on these first as they will provide the basis of your overall colour scheme. If it's an exterior consultation take photos that give an overview of your house, try to capture the surrounding area (garden, driveway, other adjacent houses), where possible bring in a sample of your stone or wood cladding. Feeling encouraged to make that colour leap? Then do what I did and get thee to a free consultation with your local Dulux Colour Hero. But before you go make sure to read up on Amanda's tips on how to prepare for your meeting because as Benjamin, quite Franklin put it ""By failing to prepare, you are preparing to fail."